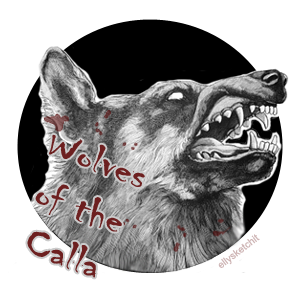 These are the wolves of Thunderclap, named of the Calla, a fierce warrior pack that preys on villages to feed their insatiable hunger for man-meat. It is sometimes whispered that strange, metal-masked men with green cloaks walk with them but none who see them live to tell the truth of such tales. Try for *dire wolves* only, but if you breed something else in by accident, don't worry (just don't release it)! If you're trying for an albino & don't get it, freeze it & send it to me in a trade. If you don't want a pet anymore, please do the same.